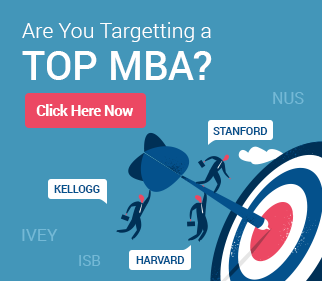 Indian IT MBA success story: admitted to Kenan Flagler! Home Blog Kenan Flagler cracked by Indian IT female! Kenan Flagler cracked by Indian IT female! AS is one of the most courageous and strong-willed people we know. She is also someone who has been places. With a good bachelor’s in engineering from India and a Master’s from Cornell, it would seem that she would be all set for an admit to a top MBA program of her own liking. AS has many strengths – her education, her analytical abilities, and above all, her great attitude. The last is what proved to be the most important in making her a winning Indian IT MBA candidate. Starting off with a good GMAT score of 700+, AS had excellent credentials going for her application. 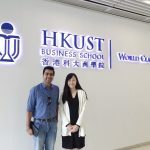 However, she also faced definite challenges – a low GPA, no work experience abroad (she had to return to India immediately post Cornell due to difficult personal circumstances), and IT experience limited to a small industry. While other Indian IT MBA applicants could boast of big names like TCS, Accenture, and Infosys on their resumes, AS worked for a smaller firm in manufacturing instead, leading its IT division. Even within the Indian IT category, AS was not at the forefront of the industry. Working with GyanOne, AS surmounted the challenges she faced one by one. She did not work for the big names in IT services, but she had other things going for her – more autonomy, the chance to be more innovative, and more leadership opportunities. We helped AS to highlight the many contributions that her innovation had made to her company, even though the company was not an IT firm. AS struggled with the fact that she did not have many activities to speak of outside work, but again, thoughtful introspection helped. She realized that her work with small local business, helping them with their IT issues, and with a global non profit (promoting their activities in the city) helped her highlight how she had used technology to useful ends outside work too. AS’s Cornell stint proved useful in demonstrating her comfort in working with different cultures, and her ability to work well in global teams. AS’s final frontier, and perhaps her biggest challenge, was interviewing. The interview invites from Kenan Flagler as well as Smeal came in quickly, but AS found herself not fully prepared. The first mock interview she had with us was far from satisfactory. It was AS’s great attitude again which came to her aid. She worked hard – one of the hardest working Indian IT MBA applicants we have seen – on her interviewing skills. Over multiple mock interviews, GyanOne helped her to bring out her strengths, express her goals clearly, convey her need and passion for an MBA, and demonstrate a good understanding of her target schools. With structured preparation and determination, AS was able to secure an admit to the Kenan Flagler MBA, ranked number 7 by Bloomberg Businessweek for leadership development. 1. Introspection is important. It can help bring out stories that will do away with perceived weaknesses in your application. 2. 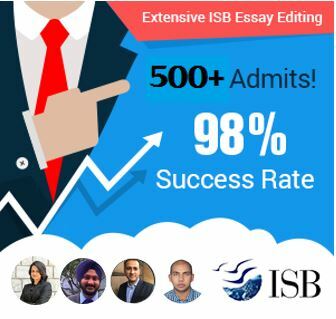 Not every successful Indian IT MBA applicant needs to be from TCS or Infosys. People doing good work in other companies too can dream for top MBA success, if they can show how their work has contributed to their organization. 3. Preparing hard for interviews is critical for Indian IT MBA applicants. As candidates from an over-represented category, they need to have answers which go beyond ‘good enough’ to ‘impressive’. @Rahul: With a 700+, you will have a shot at Kenan. However, this is a very broad assessment. We could give you a better idea if you could send us more details on your profile. This is a very good story but would she have had some advantage just because she is a female candidate to these schools? Manish, ultimately only candidates with strong profiles and applications get through to top schools. Candidates from diversity groups do have some advantage, but just being a female does not confer an unfair advantage.